Recovering your mobility that is impaired due to an injury or an illness can now be easily attained through our occupational therapy programs. 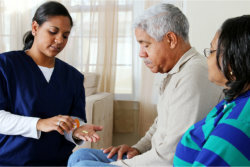 Our occupational therapists are well-experienced to provide you with effective techniques to realizing the goals set. To learn more about our occupational therapy services, call us today and let’s get started.